No Repeat Workday with P.A. Rick Moyer Rocks your Saturday Night! Win Tix To Daryl Hall & John Oates This Thursday! Online Petition Started To Rename Black Hole after Chris Cornell Congrats to our KDUX Billy Idol tickets winners! Remembering Kurt Cobain… 25 Years Gone OZZY Cancels All 2019 Tour Dates Win Billy Idol Tickets on the KDUX Best of Thursday! Congrats To Our KDUX George Lopez Winners! 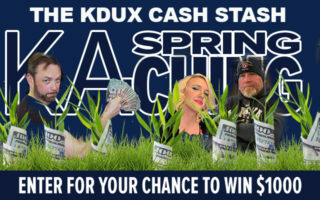 The KDUX Cash Stash Spring KA-Ching! 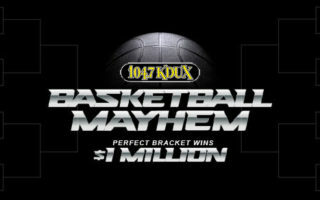 Basketball Mayhem- win a MILLION DOLLARS! The KDUX Cash Stash-Enter to win $1000! This is your last week to win Seattle Seahawks tickets! Listen and Win! Win our last pair of tickets to Journey & Def Leppard this Thursday!